Water. It is one of the most vital elements of our existence. All life depends on it. God provided rich sources of this essential liquid nutrient for us, but it has become spoiled through sin and is a far cry from His original provision. Because it is so crucial to our health and well-being, our water should be of the best quality possible. Good water is hard to come by these days. Though our urban water systems provide water that is safe for human consumption, this water is not necessarily good for you—or at least not the best. Water from our cities’ sources almost always contains chloride, fluoride and even contaminants such as lead, hormones, and pesticides. The growing use of chloramine disinfectants instead of chlorine is even more cause for concern. Chloramine-treated water tastes better than chlorine-treated water, but chloramines are no better for the health than chlorine. Carbon filters and other filtration systems help reduce the levels of these contaminants except for chloramines, which are more difficult to remove. 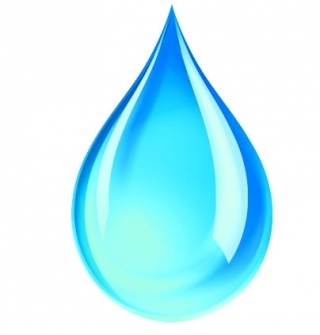 Another aspect of water quality that most people do not consider is water pH. Our bodies maintain a delicate balance between acidity and alkalinity. This is a huge juggling act, considering most of the foods we consume today form an acidic ash and create waste in the body. Add to that the stress most of us live under, and the environmental pollution and toxins we’re constantly exposed to, and the mix becomes a major recipe for ill health. Disease takes hold, and even thrives, in an acid environment. To counteract this dilemma many people are turning their focus to eating more alkaline-based foods and making lifestyle changes. Another way to improve the pH of your body is by using alkaline water. Alkaline water is created with an alkalinizing, ionization unit that uses an electrolysis process to split the water into two streams: alkaline and acid. The acid water is very beneficial for the skin, for cleaning wounds, and disinfecting your home. Amazing Health offers the highest quality water ionizers available. These are countertop units that easily attach to your faucet or may be plumbed in under your sink. Every ionizer Amazing Health offers has adjustable alkaline/ acid level settings, uses platinum coated titanium electrodes, are self-cleaning, has an excellent flow rate, and comes with a lifetime warranty (following manufacturers guidelines for use with very hard or soft water). The Athena and Delphi ionizer models also support the patented Double Action Reverse Cleaning (DARC) and use the latest mesh technology in their plating process. For more information on our water ionizers visit our website at www.amazinghealth.com or call us at 1-888-856-9472. We would love to assist you in making the right choice for your health.